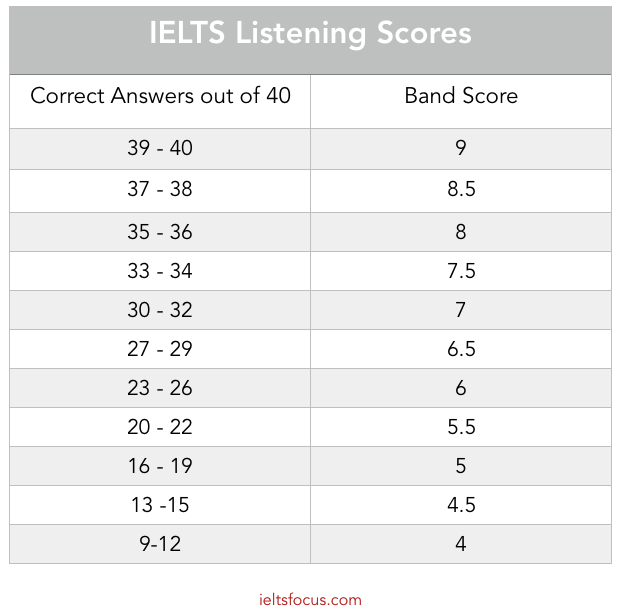 The IELTS listening test has 4 sections. The listening test for the IELTS general exam and the IELTS academic exam are the same. The first 2 parts of this test are general everyday situations like a telephone call, booking a hotel, contacting a school, information on a company etc. the third part is more academic with usually 2 speakers such as someone discussing an assignment, a student and teacher talking and so on. The fourth part of the listening test is a longer academic monologue /lecture, so this part is where your band score goes up if you get it right. There are 40 questions, that means 10 questions per section. You can only listen once to the listening test so be prepared. In the paper based IELTS exam at the end of the listening test, you are given 10 minutes to transfer your answers to the answer sheet. However, in the computer based exam you do not get these 10 minutes to transfer your answers, you will only get a couple of muniutes to check spelling. Be very careful of spelling and grammar as small mistakes can lower your score. 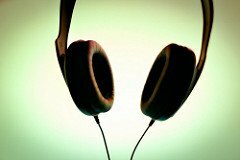 What kind of questions are in the IELTS listening test? There are various types of questions that show up in the test listed below. You need to be able to listen, read the questions and write down your answers at the same time . This will take a lot of practice. 3. You are given about 30 seconds between the sections, use that time to look at the questions in the next section. 4. Follow the instructions, There is often a limit of the number of words, so you might see “Write no more than 3 words and/or a number” if you use more than 3 words the answer will be marked as wrong. 5. Many types of accents are used from all over the English speaking world, make sure you practice listening to all types of accents before the test. 6. Don’t just practice IELTS listening tests, I recommend listening to various everyday topics, news topics or something that you find interesting. Here are some useful links for listening practice. 7. You can only listen once in the exam, so make sure you are well practiced in listening only once. Develop your skill to predict answers. Listen for meaning, not just listening for keywords. Develop your note taking skills. Make sure your spelling is correct as you will be marked on this. If you don’t know the answer just guess, do not leave it blank. Develop your paraphrasing skills. IELTS is full of paraphrasing. 9. The listening test in IELTS is quite tricky, for example, at first you think you hear the right answer but if you keep listening it will change later in the talk, the speaker will change their mind or change what they say suddenly. I don’t advise constantly doing IELTS practice tests after practice tests. It is very important to find your weak points first and work on fixing those. To really develop your listening skills try non-IELTS material, such as real world listening, News topics and podcasts and expose yourself to various accents: American, Australian and Canadian. IELTS is not just British English. Check out these free websites to help you practice your listening skills. 1. Audible: This is a unique way to practice your listening and reading skills using audio books. It was set up by Amazon and there is a 30 day free trial, the books can also be downloaded to your phone using an App. 2. Ignite: This website contains 5 minute presentations and lectures, the presenter has only 15 seconds per slide to get the point across. This is useful for understanding native speakers at normal speed. 3. Voice of America: Popular News stories with a script and grammar topics, the pace is not too fast. 4. Breaking News English: Current News lessons with a PDF you can download which has synonyms and comprehension exercises. There are also different speed listenings in American or British English. 5. Listen a minute: A-Z of topics for simple listening practice, you can download the PDF too. The level is quite easy so it’s good for intermediate level students. 6. BBC Learning English : News topics and lessons specially made for English students. PDFs can also be downloaded. 7. Stitcher Podcasts : News topics and Podcasts on current issues, a good place to practice real world listening skills. 8. TED talks: Interesting Lectures and presentations on many types of topics. Good for higher level students who want to build IELTS vocabulary. 9. Esl Lab: Lots of topics and exercises for listening here , mainly American English. 10. BBC 6 Minute English: This is a good place to brush up on your listening skills with interesting topics and vocabulary lists for each topic.